Under the Bradley Administration turnover among senior management of the college has been extraordinary. To date, in his 6 ½ years as President there have been 4 CFO’s, awaiting the appointment of a fifth CFO after the recent termination of Edward Patrick in March of 2014. (Freddie Johnson, O’Neal Robinson, Leroy Summers and Edward Patrick). All were terminated or resigned involuntarily. Roger McLean is currently listed on the college’s website as the Interim Vice President for Fiscal and Financial Affairs. Within the same time span, there have been 3 different auditing firms. (Cherry Baekert and Holland, Clausell & Associates and BDO Seidman) All, including the current auditing firm, BDO Seidman, have disclosed major financial and record keeping deficiencies in the accounting and financial controls of the college. Both Cherry Baekert and Holland and Clausell & Associates were terminated involuntarily after submitting extremely negative auditing reports. In so far as academic senior management, there have been 4 Vice Presidents of Academic Affairs including the current position holder. Under Bradley’s tenure this position has been held by Dr. Marshaletia Sims-Peterson, Dr. Curtis Martin, Dr. Marcus Tillery and the current position holder, Dr. Sam Sullivan. Sims-Peterson, Martin and Tillery were all either involuntarily terminated or were forced to resign. A partial list of terminated or forced resignations of former employees is contained in the following list. Given the level of turnover in mid and upper level administrative and academic personnel there is little wonder why the college is experiencing the difficulties that it is experiencing. There has been little to no continuity in the financial management team at the school. The results show up in the audit findings, and Dept. of Education and SACS evaluations. (See Financial Mismanagement Tab). The same is true in the academic disciplines – so many changes at the top that subordinates lack steady guidance and therefore feel abandoned and leaderless. There are several other faculty and staff persons who have been let go, this is only half of the list. However, as we know it- the South Carolina Mafia (as I refer to them as) are moving around the campus and doing things that just are not right. To me, when you have major turn over in key positions and you stay, the ball drops with you, not the people who keep getting fired. Remember the body goes where the head leads it and if the head is bad, those who follow will be bad as well. He needs to be GONE!!! He needs to be gone today! There is no need to keep a man who is more concerned with the external constituents than the internal. A good president knows how to juggle and handle them both. 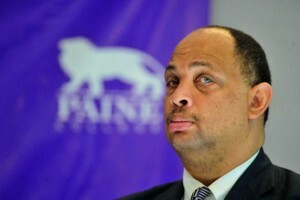 Paine College will continue, but only if this man is gone!!! “To love truth and seek it above material things,” can someone see the truth in this website??? I have a friend who is a producer with CBS news New York. She sent me the complete list of turnovers at Paine College occurring within the last four years. There are a few more, the list is below.